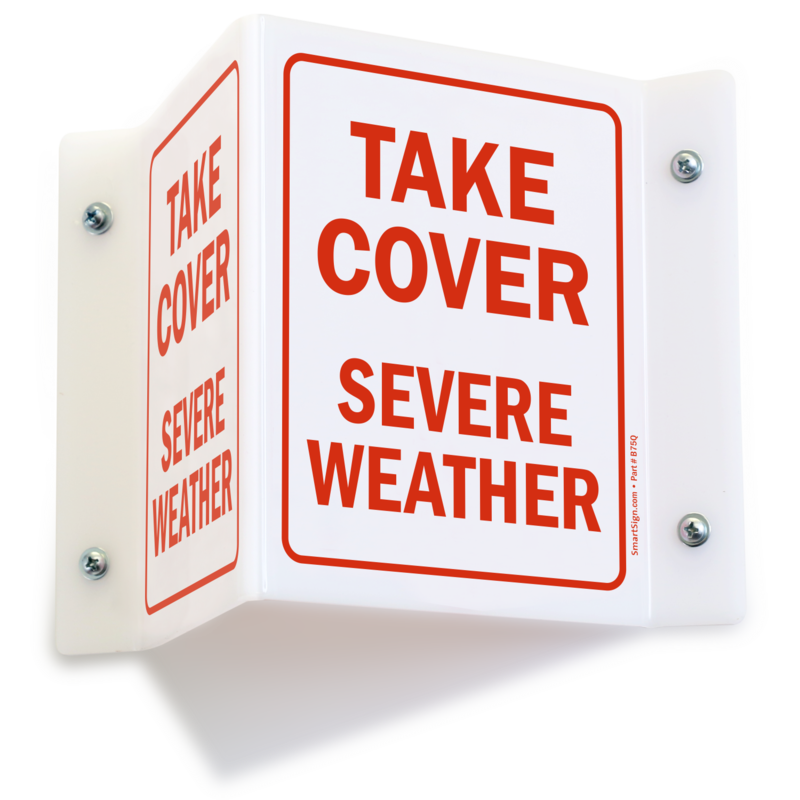 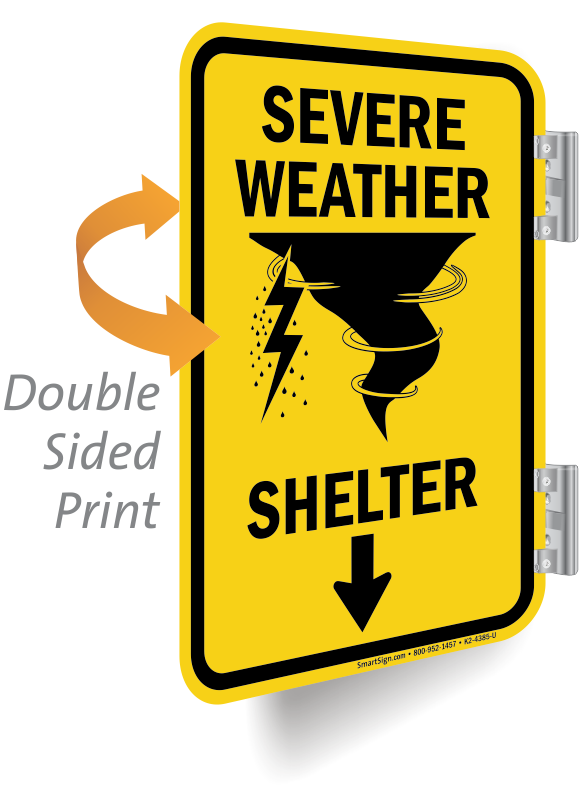 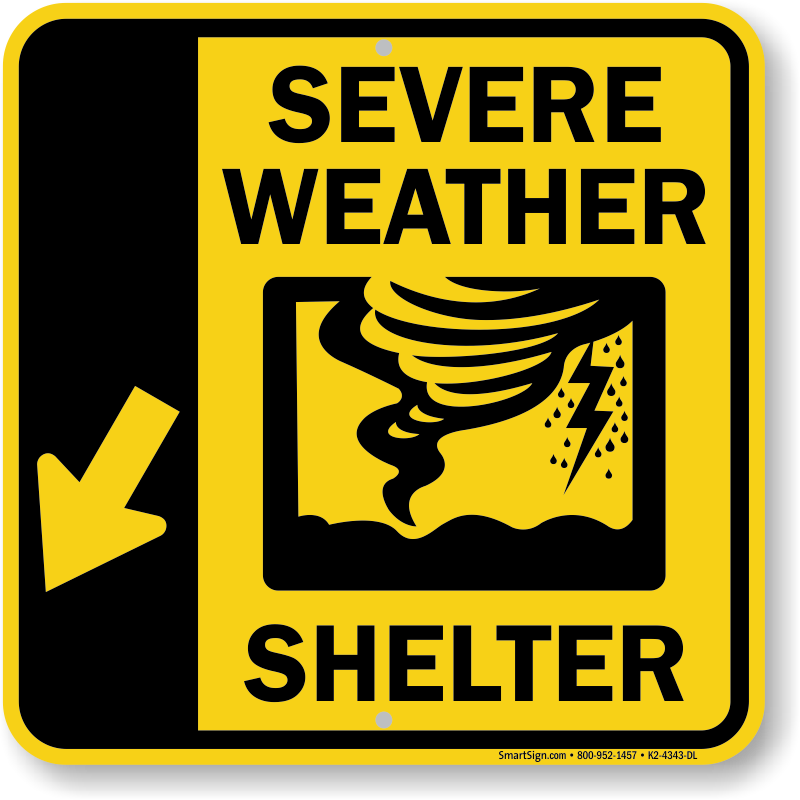 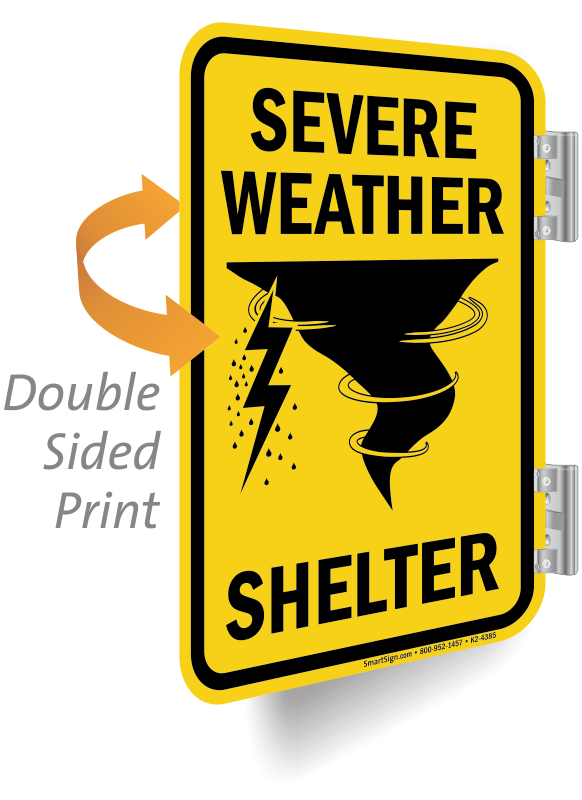 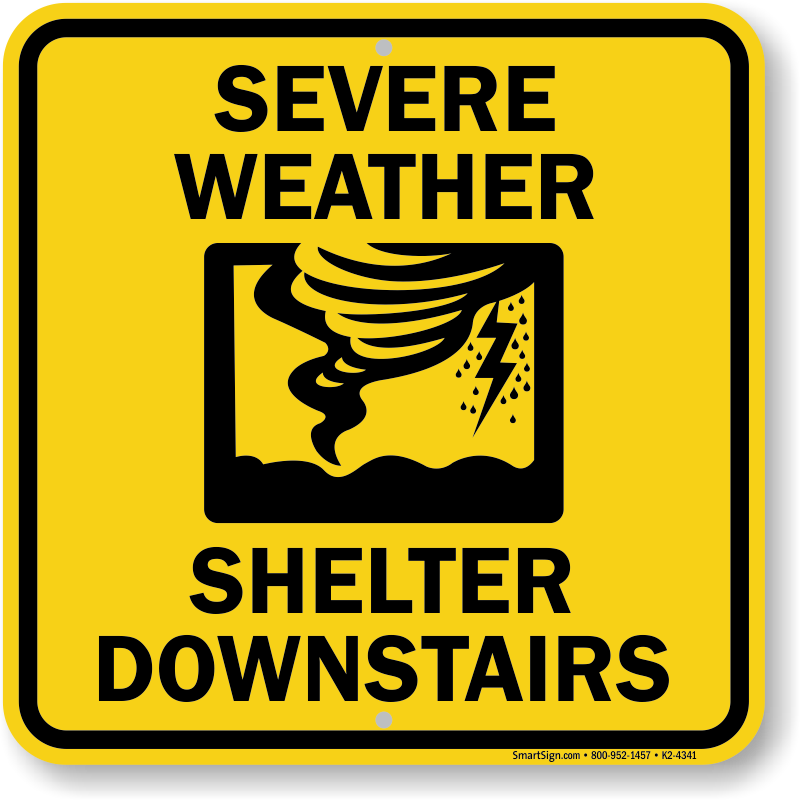 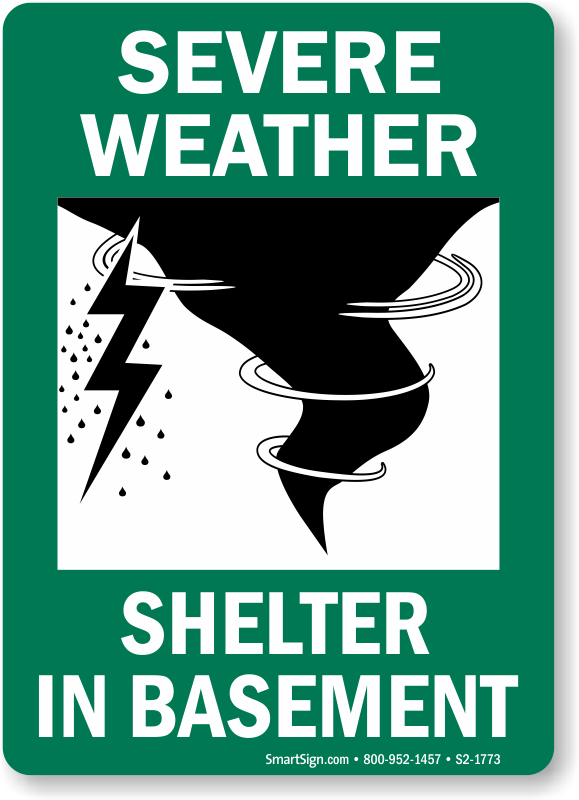 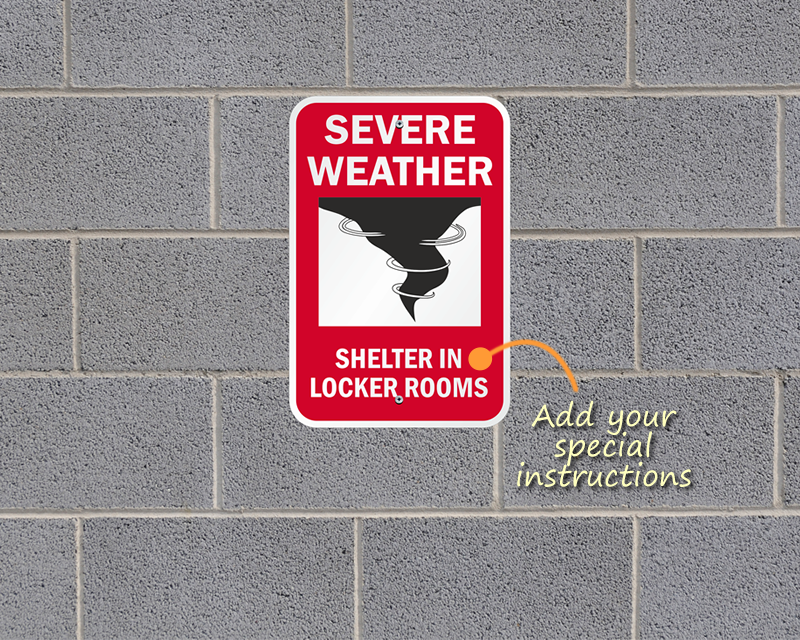 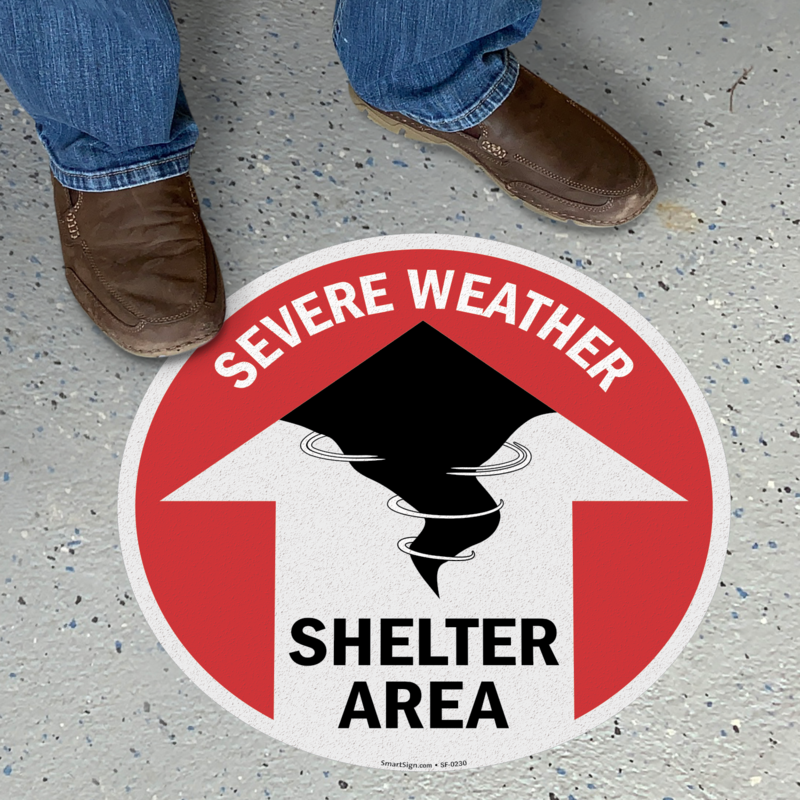 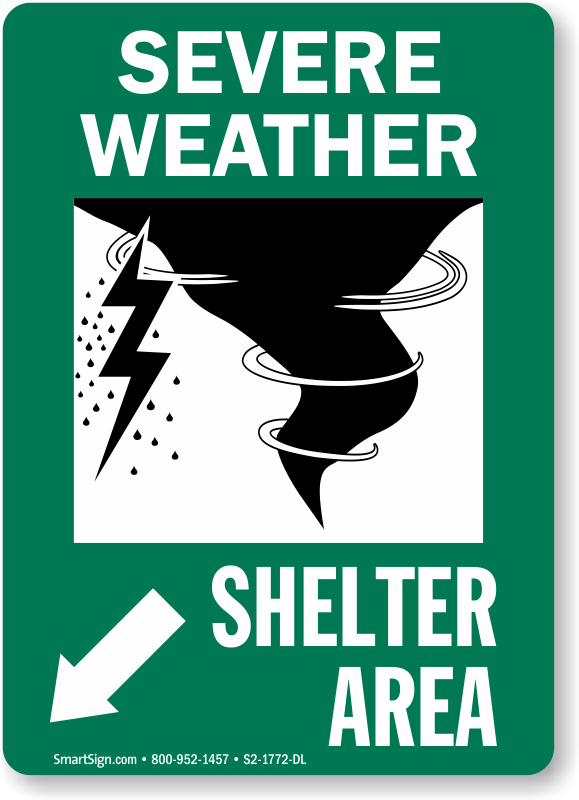 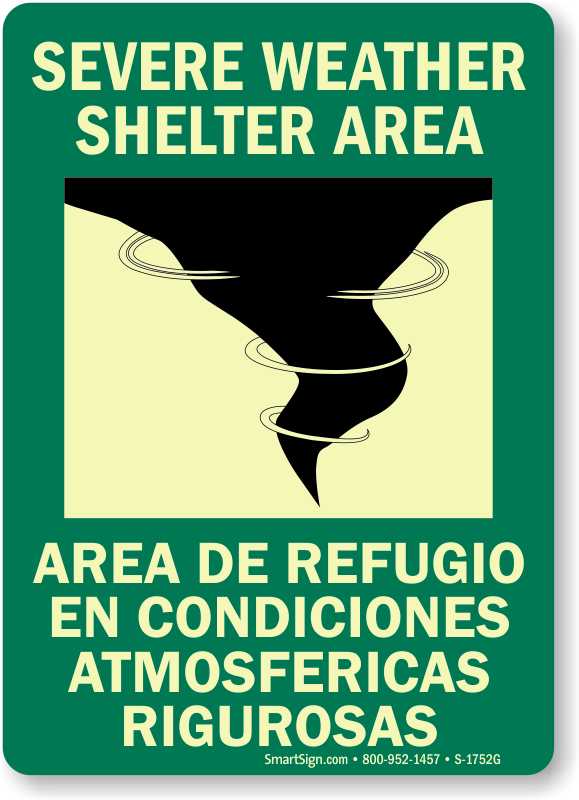 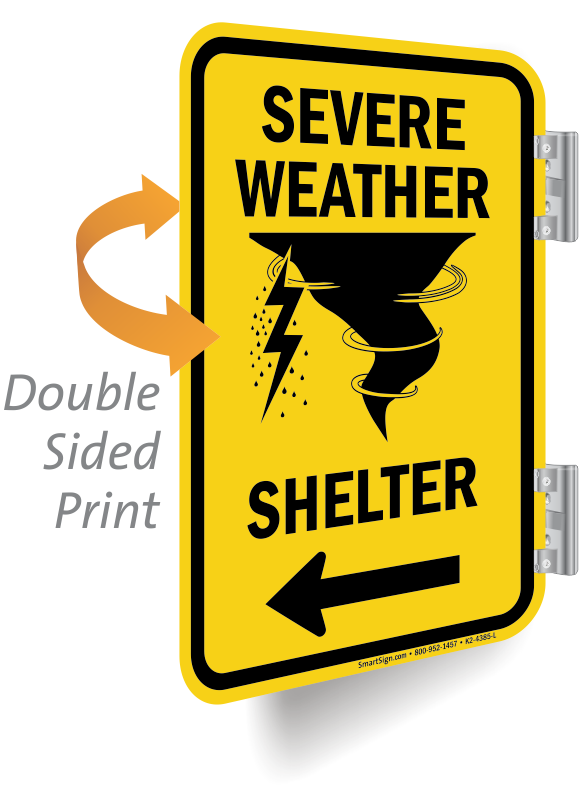 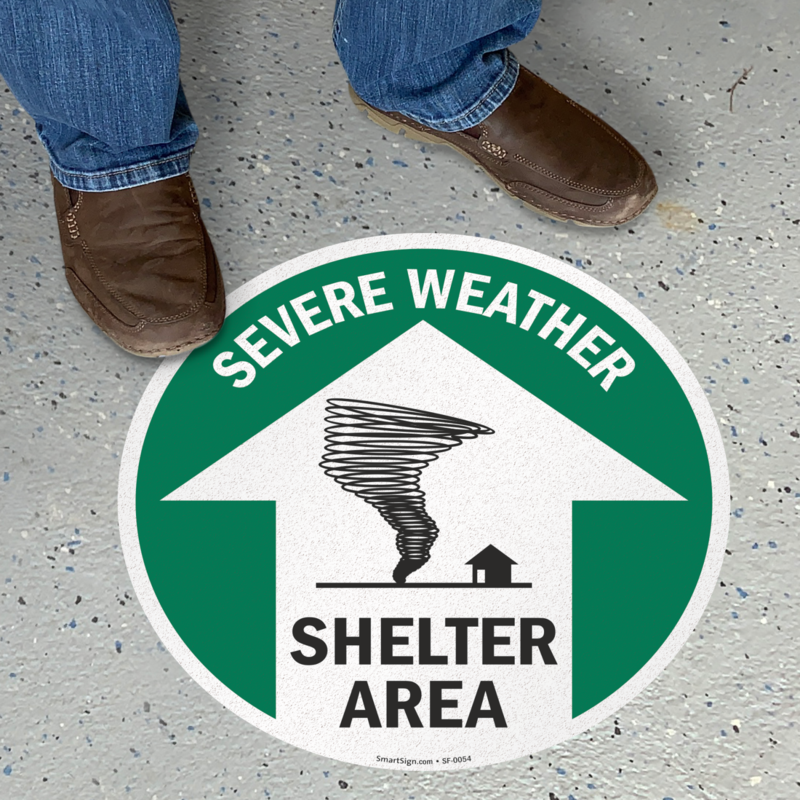 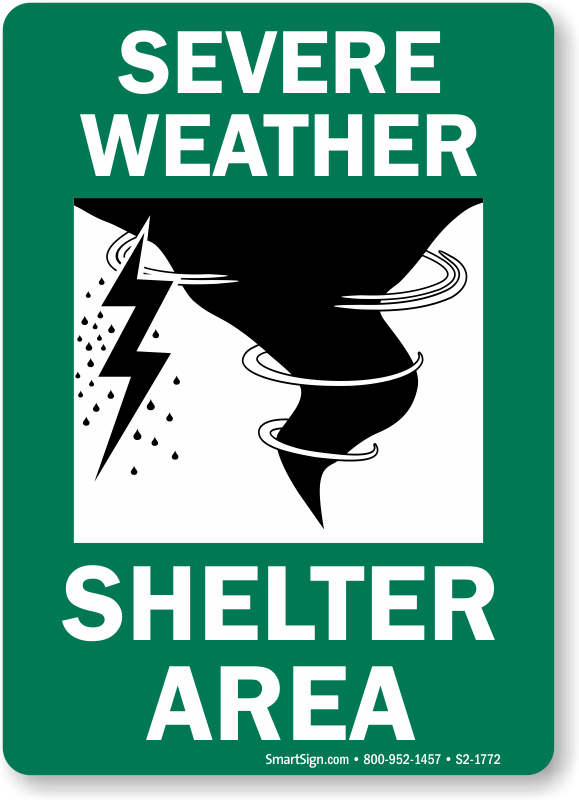 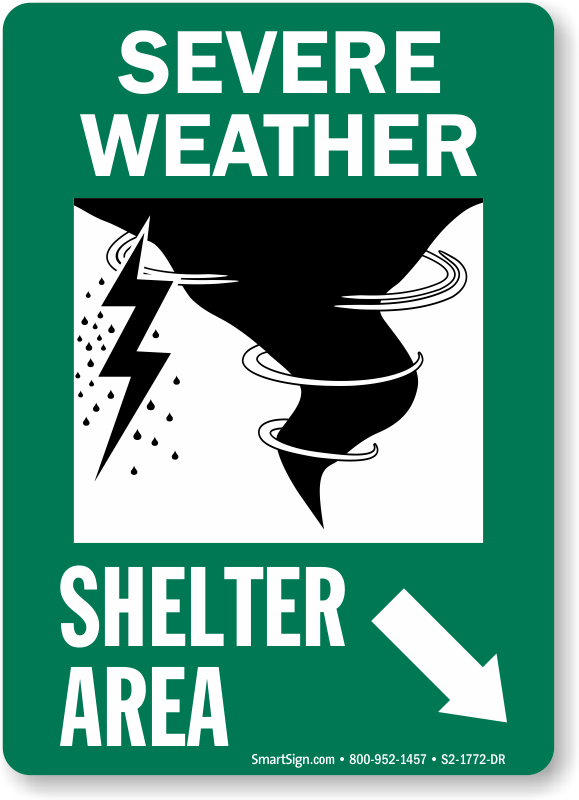 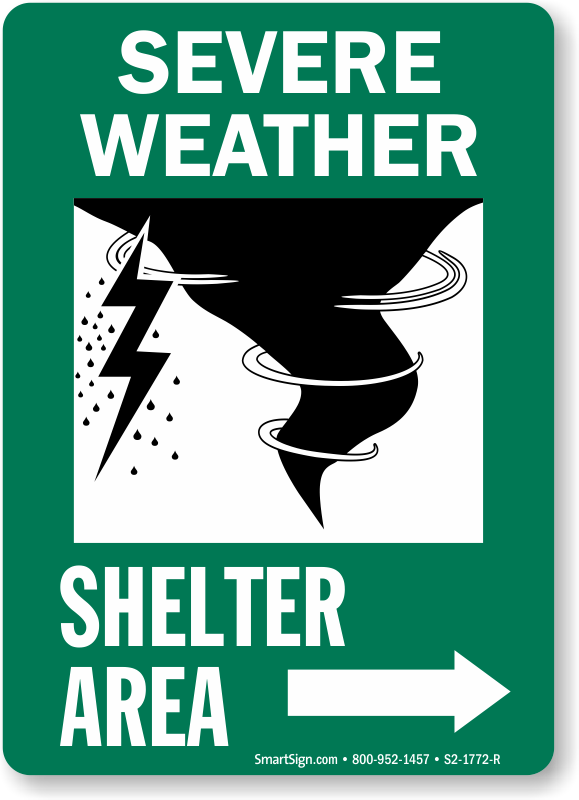 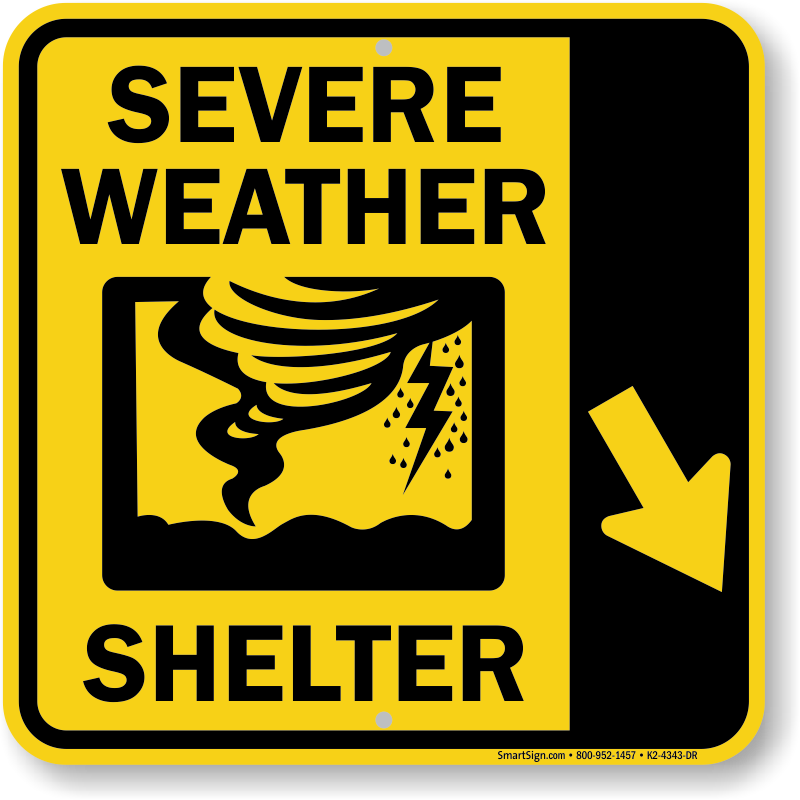 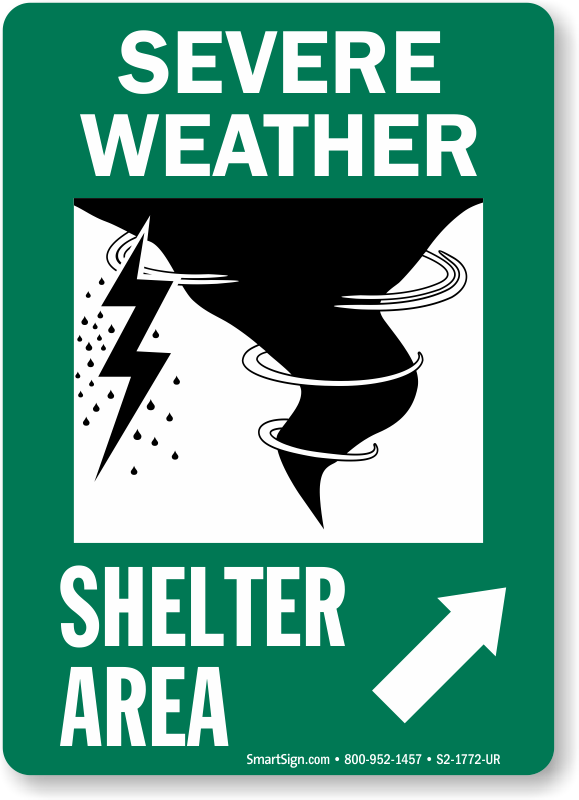 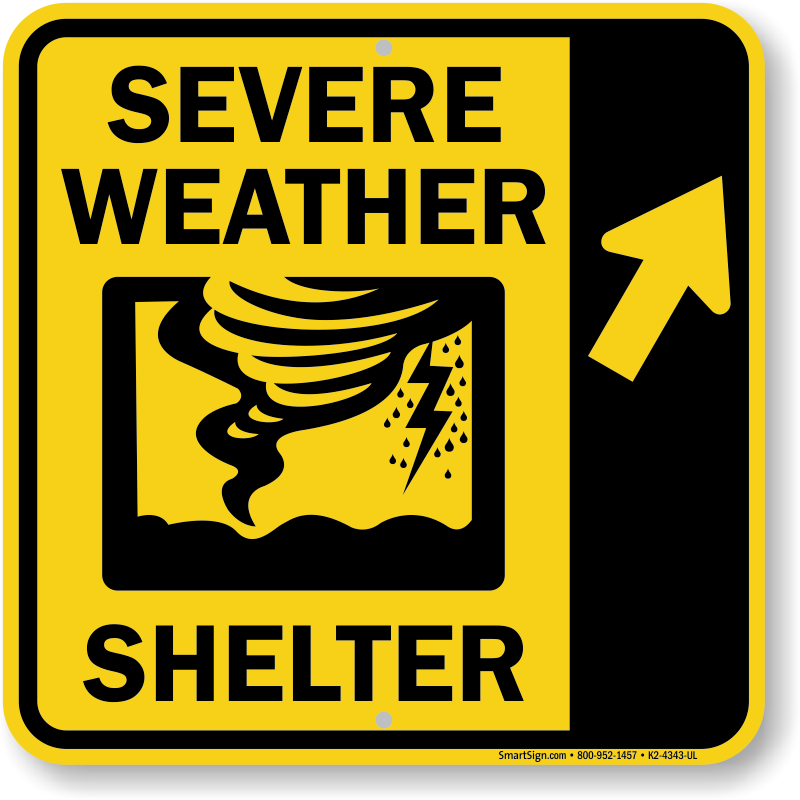 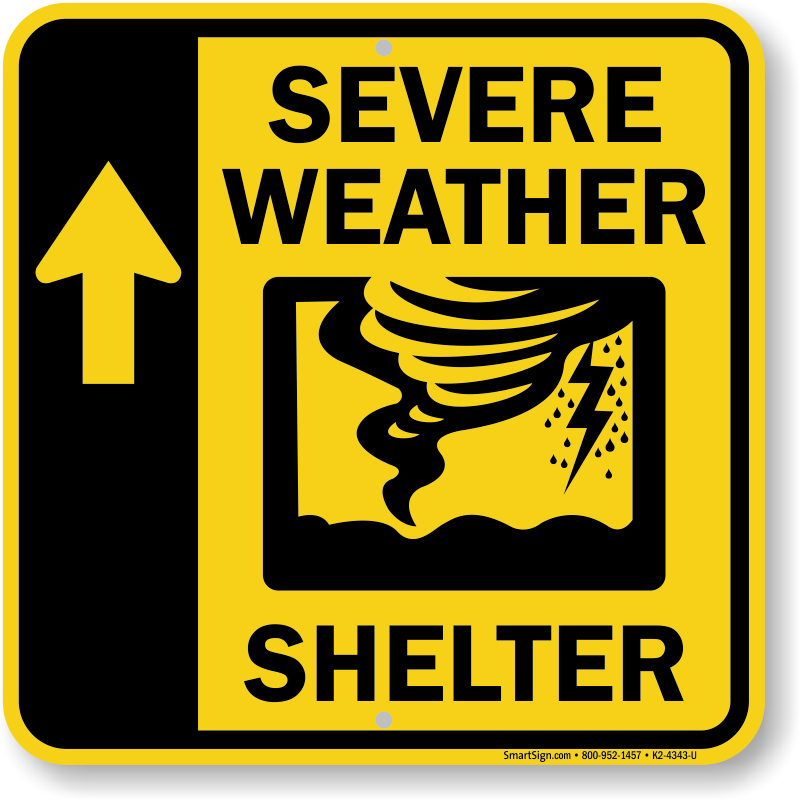 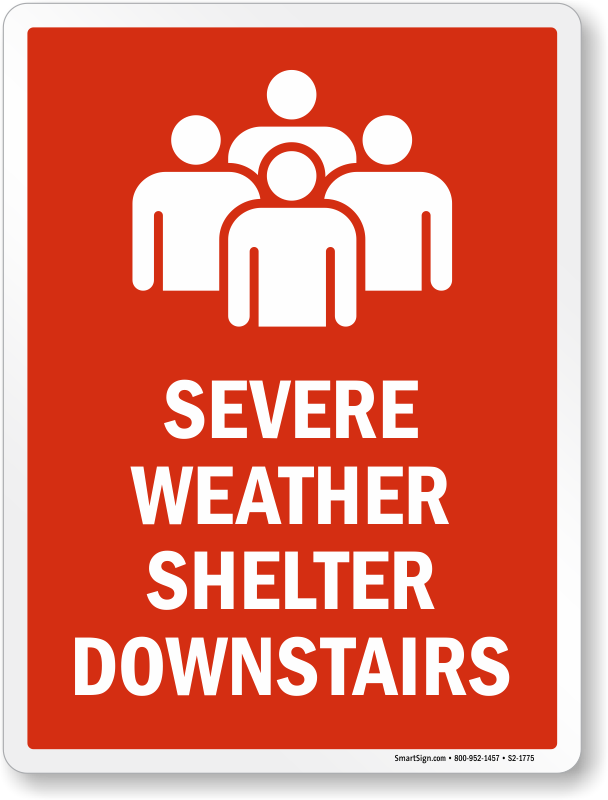 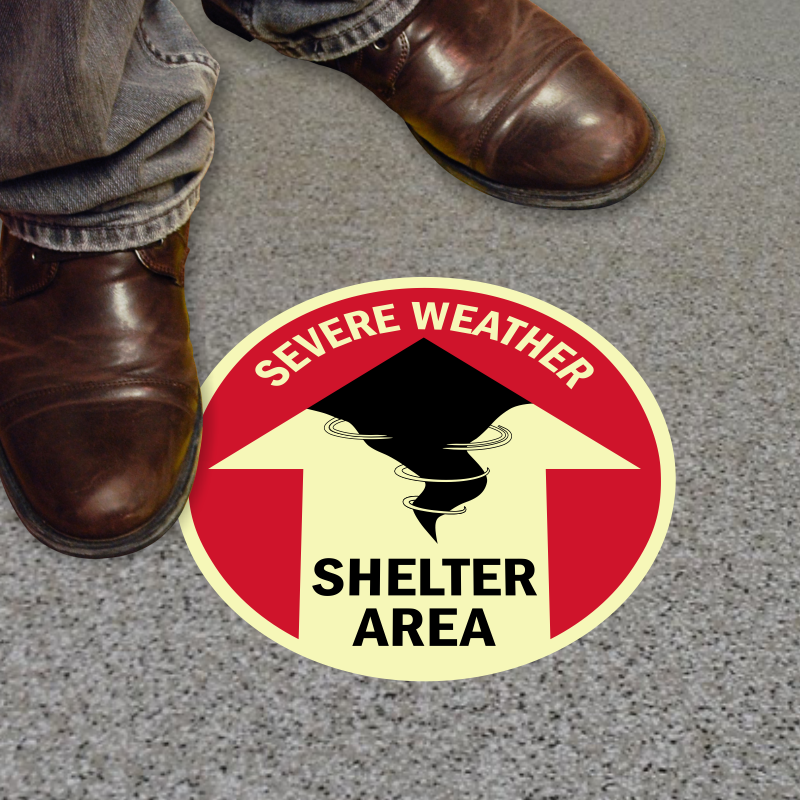 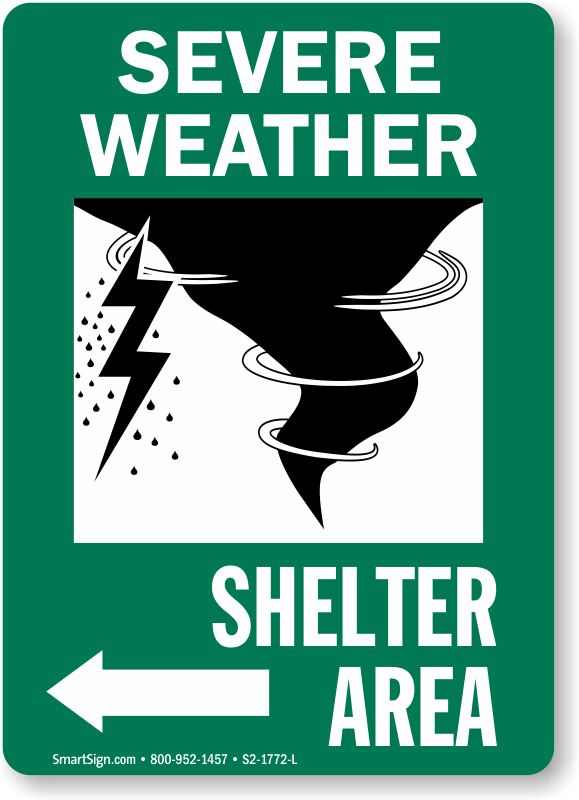 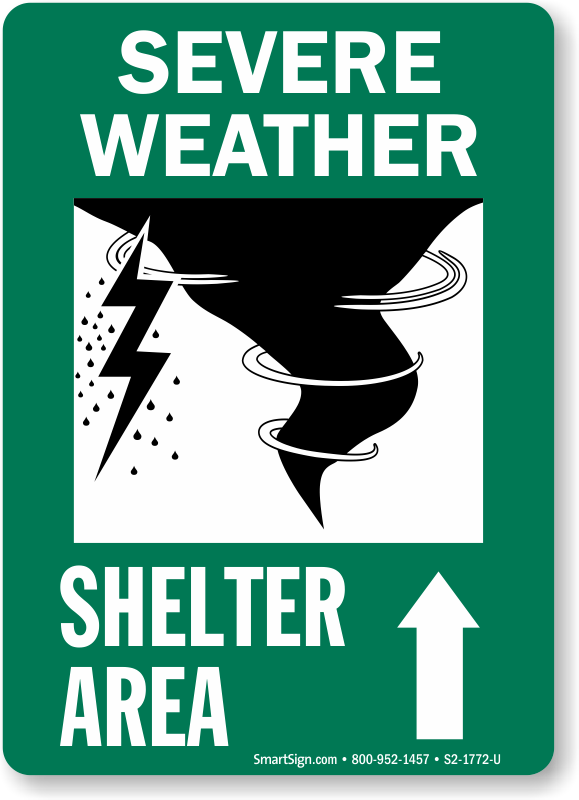 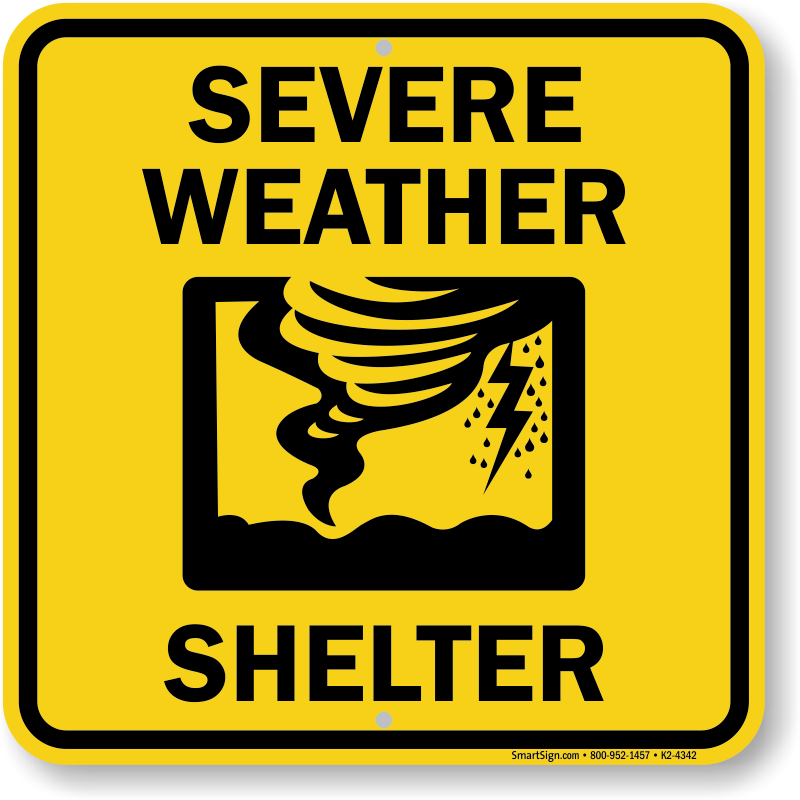 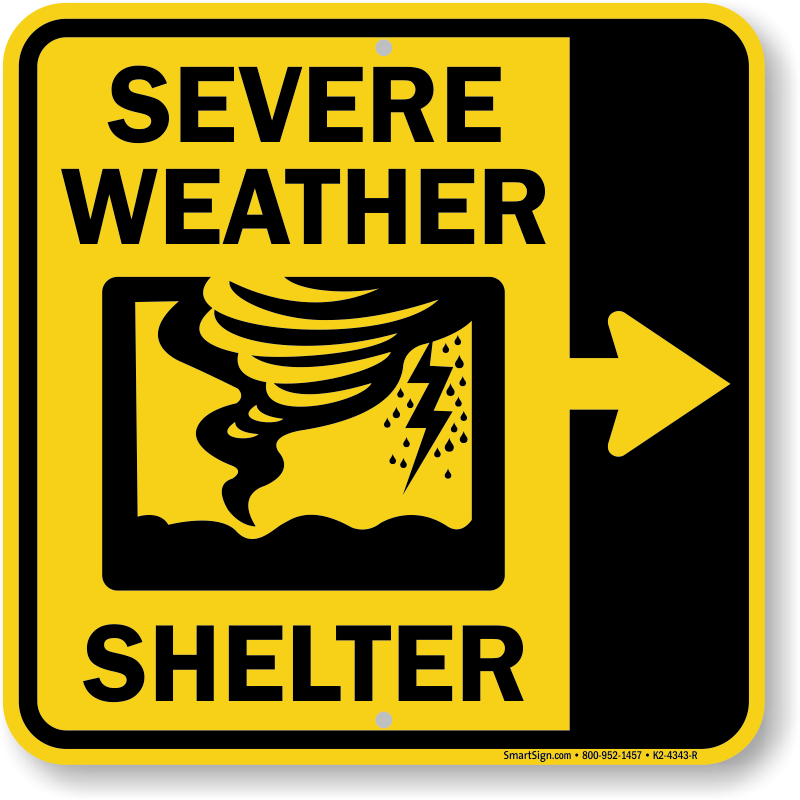 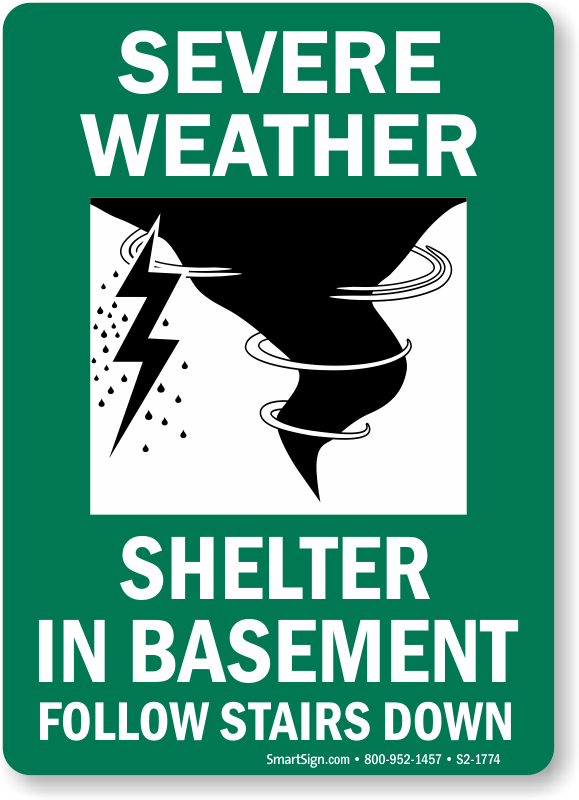 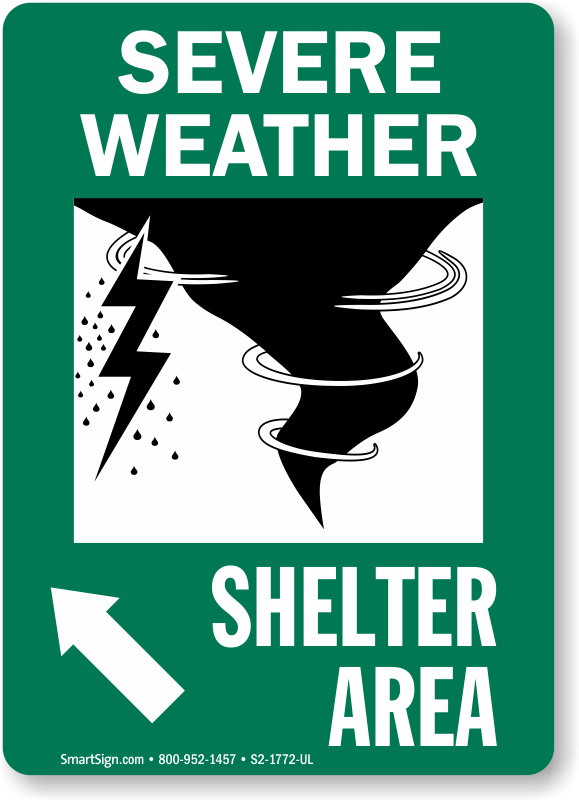 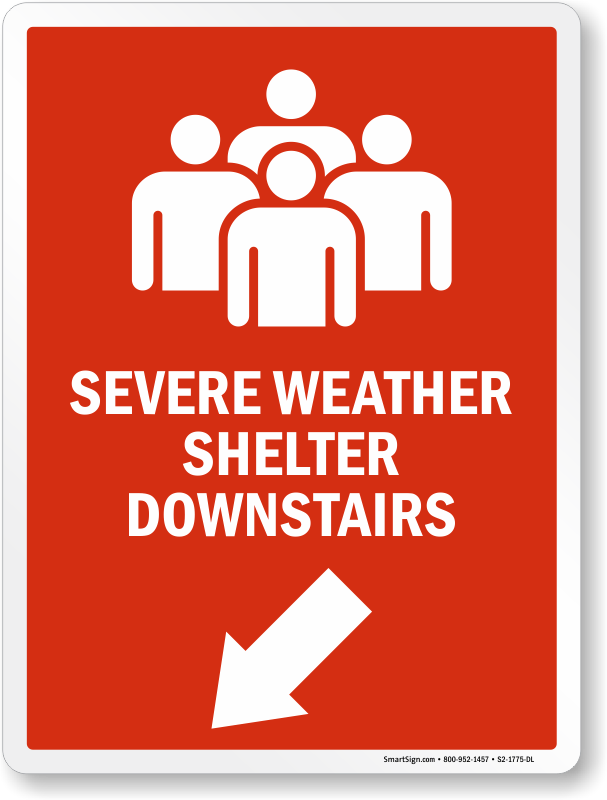 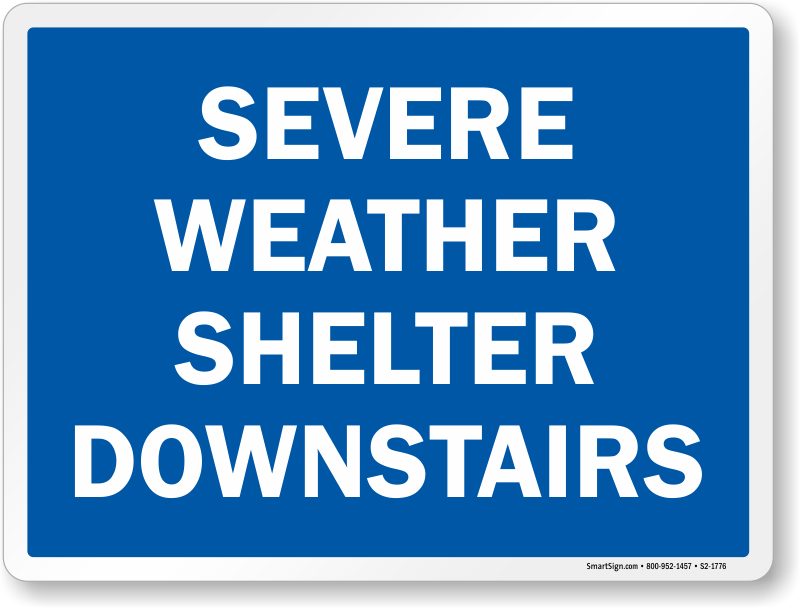 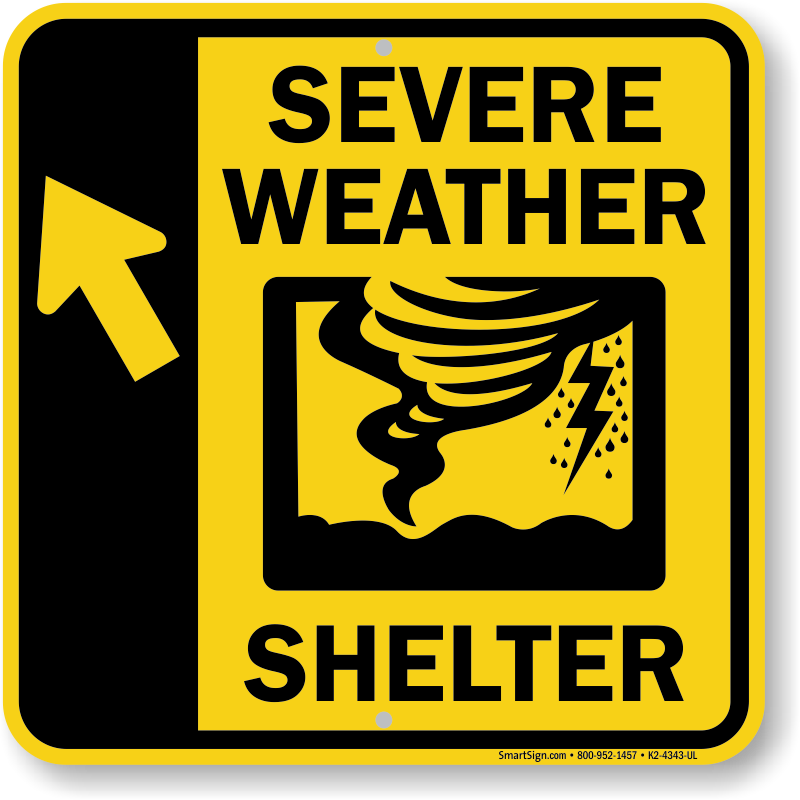 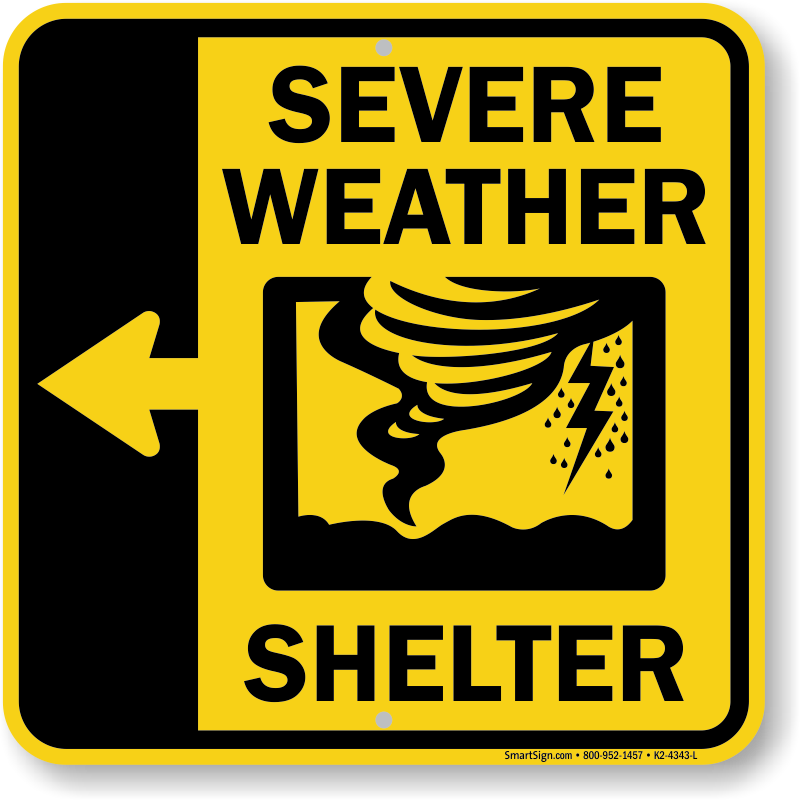 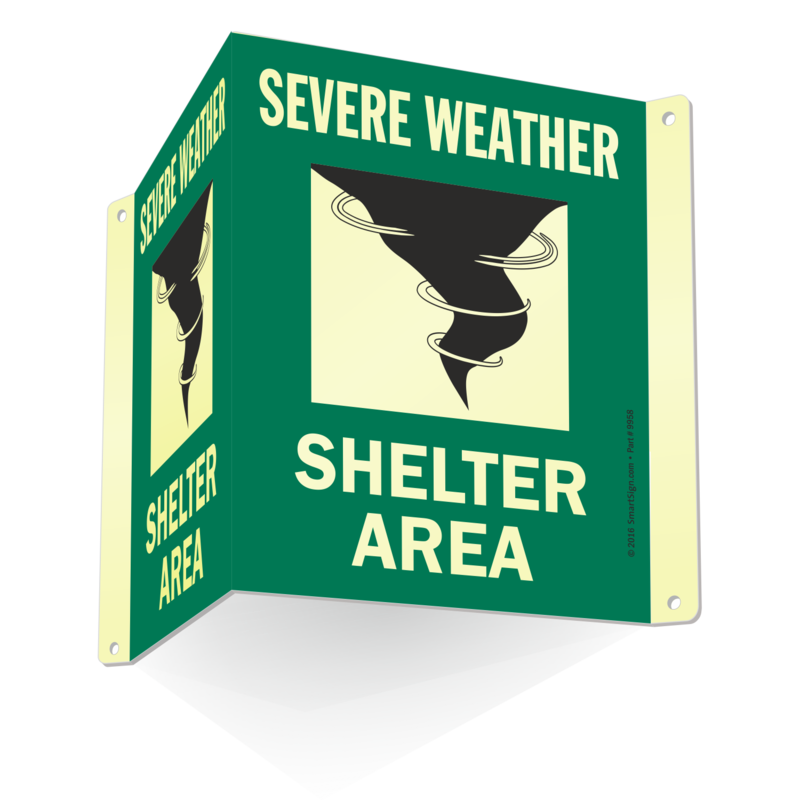 Severe Weather Signs are important in that they communicate and direct everyone to tornado shelters, evacuation routes, rescue areas, or other safe areas. 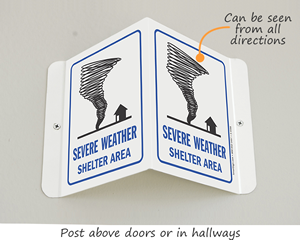 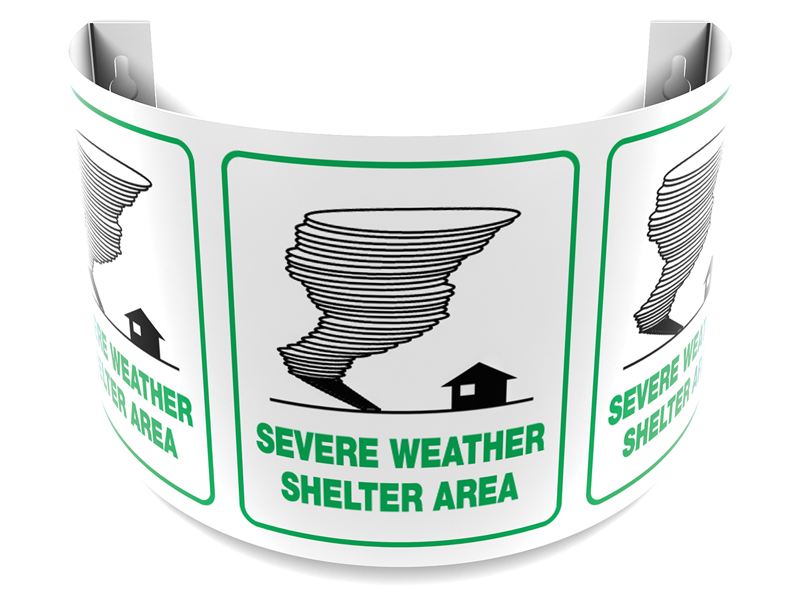 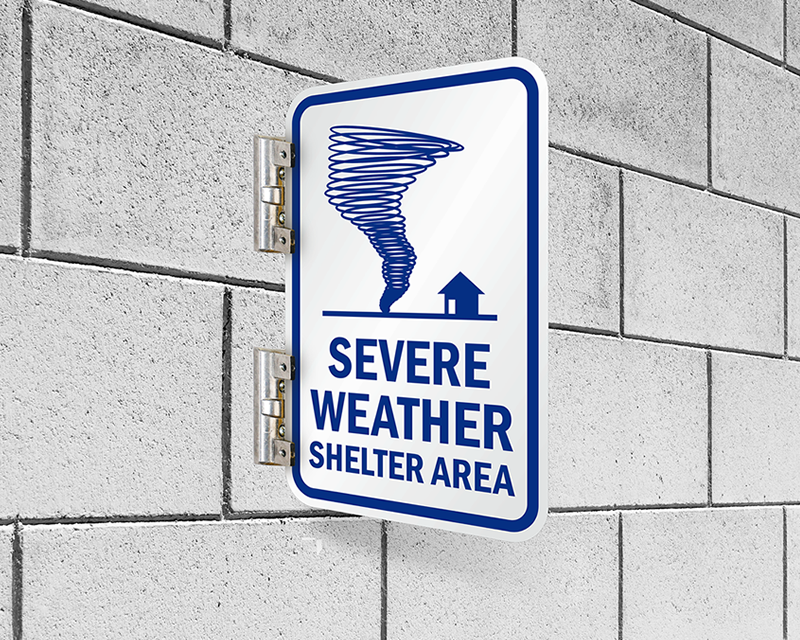 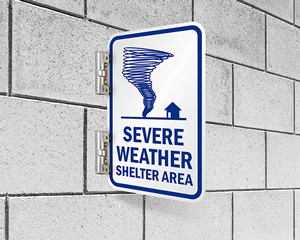 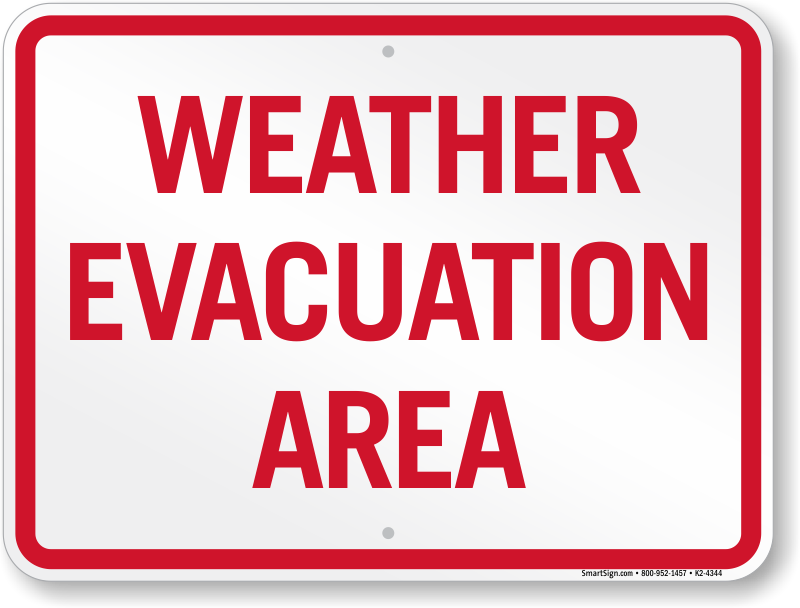 Install these signs and be prepared for emergencies like tornadoes, hurricanes, thunderstorms, and other severe weather. 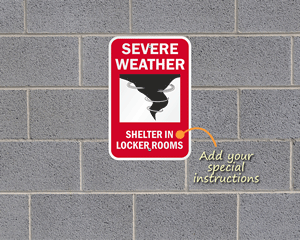 Signs are the most affordable way to ensure safety of employees during severe weather. 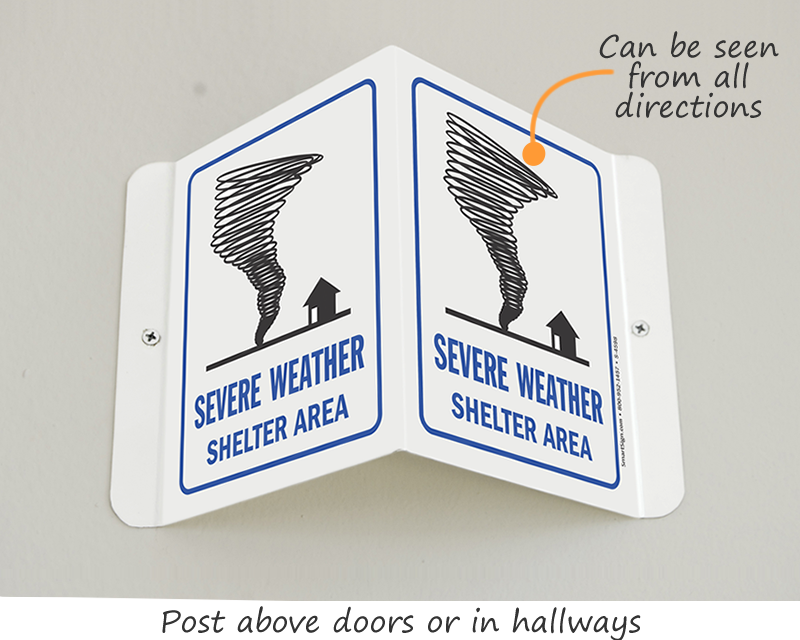 • Signs prevent chaos and confusion during panic situation. 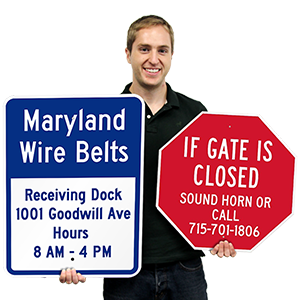 • Easy to understand pictogram, colored border, and bold header make these signs hard to miss. 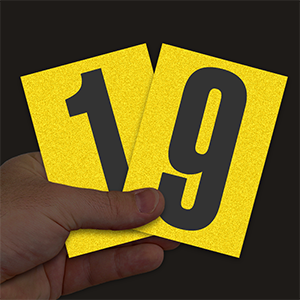 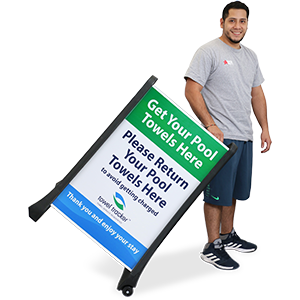 • Our gallery also includes double sided signs and adhesive floor signs. 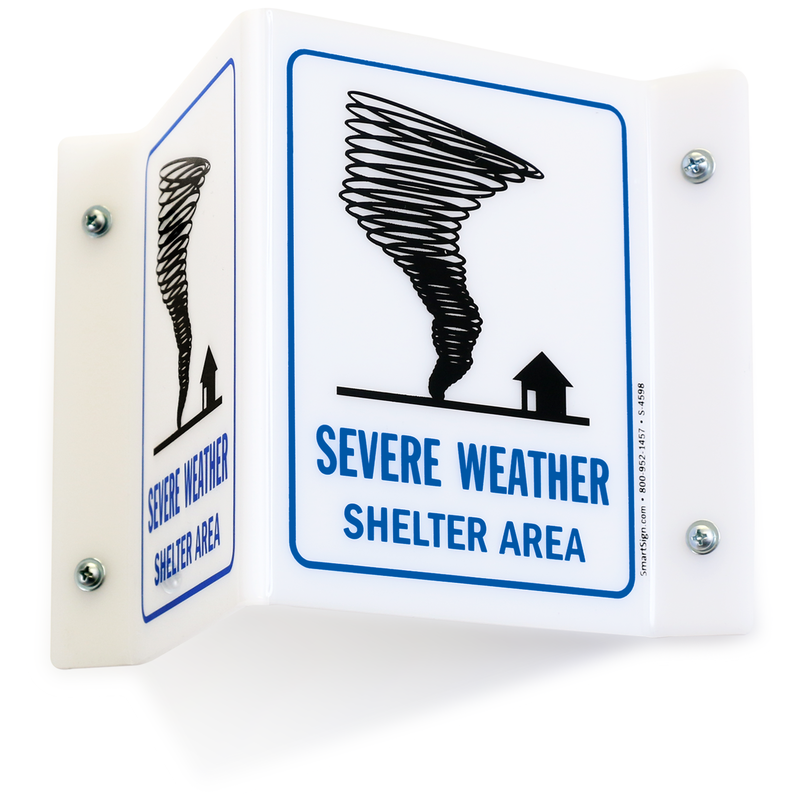 Find over 50 designs. 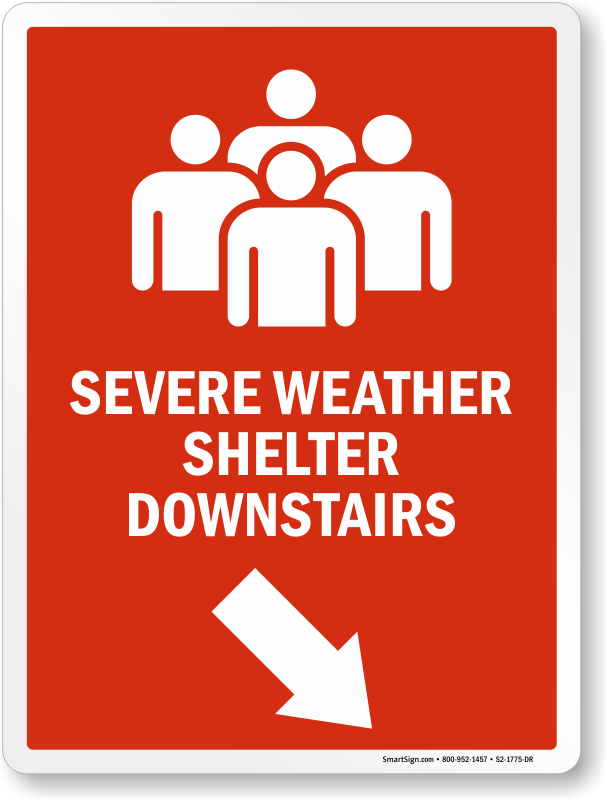 Point the way to safety. 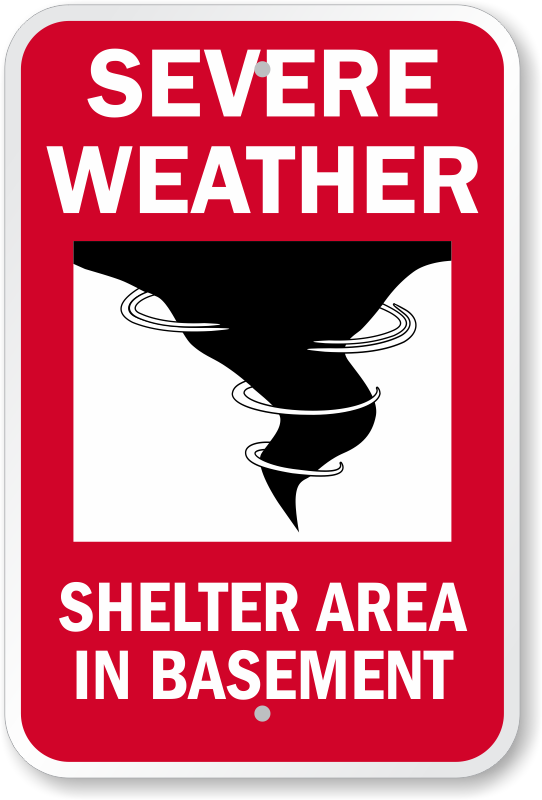 Mark Tornado-safe areas. 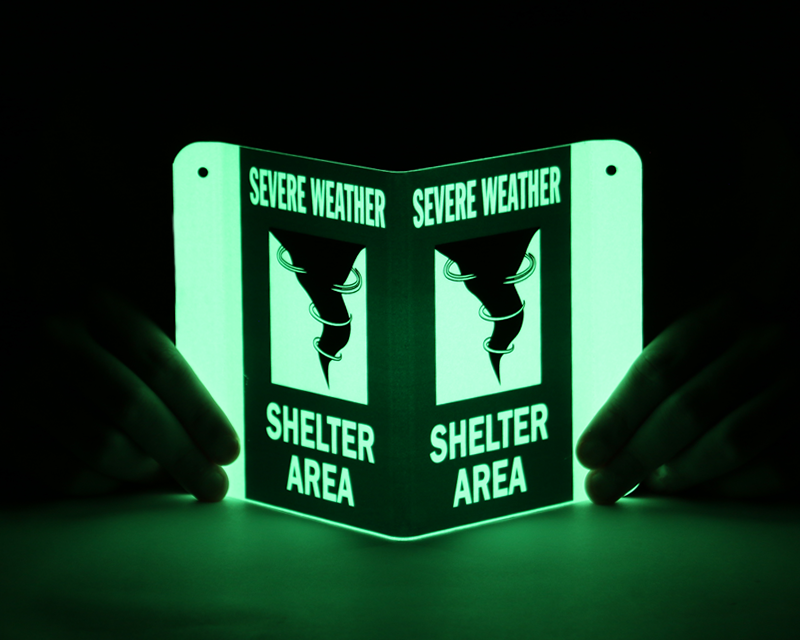 Great design and durability so far! 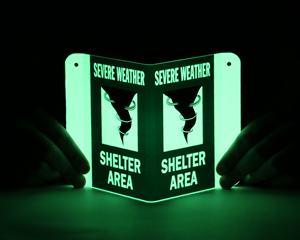 These were exactly what we wanted. 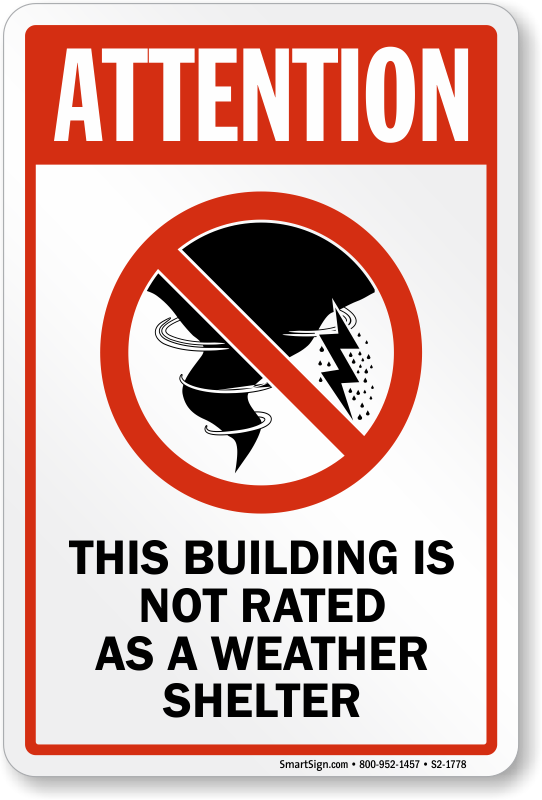 It's exactly what I was wanting!